The sometime sociopaths in ¡LOS! BuiTRES! (at #19) couldn’t do it — not even singing a tune by tubthumper de amor Horacio Palencia. 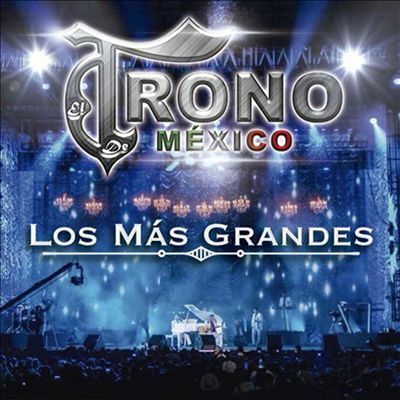 Neither could Banda MS, in at #18 with their second slo-mo slow dance on the chart. You might think it inevitable that Banda el Recodo would get the job done, but #4 “Inevitable” isn’t the tune. Nope: none of this week’s Mexican chart debuts possesses the indescribable and unquantifiable blend of moxy, verve, hooks, indelible vocal timbre and/or inventive instrumental work needed to claim the coveted title of NorteñoBlog Pick to Click. Q: So what does a regional Mexican singer know about rock? A: You should have met me when I had an earring and long hair! I recorded a rock album in 1987, before recording rancheras. Rock has been my inspiration and my best weapon. My Mexican music sounds the way it sounds because of rock. I produce and write everything I do musically based in rock. Q: What happened with that album? In 2012, Cobo credited Aguilar with essentially creating a new radio format. 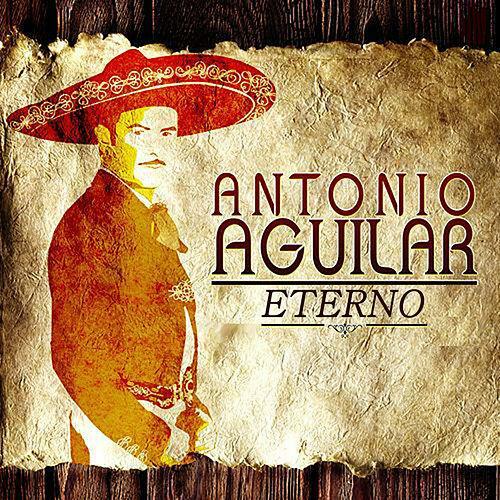 “Thanks directly to Aguilar’s contemporary readings on traditional music, radio stations that had never played mariachi opened up to the genre and, to this day, ‘romantic Mexican music’ is the programming base of dozens of stations around the country.” The closest Chicago comes to that format is Amor 106.7, where Pepe Aguilar is indeed a “core artist” but they also play bachata and Enrique. 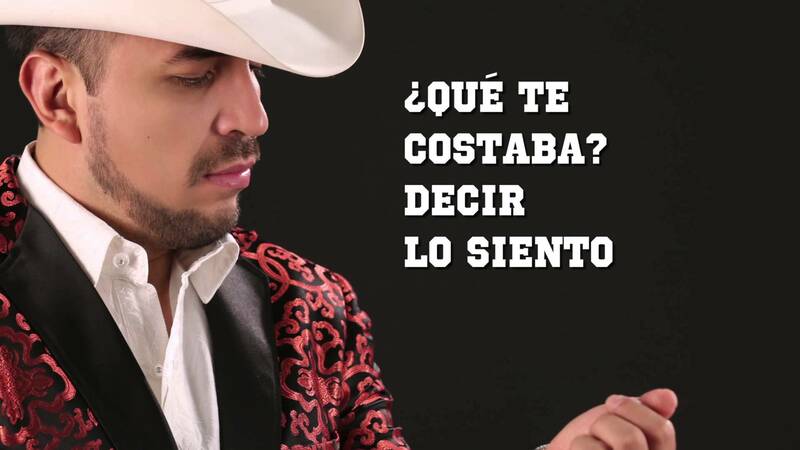 The point is, Aguilar’s traditional music has always had an element of crossover, and you can hear that in his latest banda single “María”, sitting at #9 this week on the Mexican chart. “María” flaunts Aguilar’s crossover pedigree. With its pounding cumbia beat, its minor-key chord progression, and Aguilar’s seductive (and often multitracked) croak, it sounds like a stadium football banger filtered through a banda. It’s telling that Aguilar’s aside of choice is a grunted “hungggh!”, rather than the banda singer’s typical falsetto gritos. Add to that the high-concept video, where Aguilar stalks the nighttime city streets dressed all in black, eyes hidden behind intimidating sunglasses, using his magical touch to turn homeless women and whores into respectable ladies who dance around in bright primary colors. (One of them evangelizes some street toughs — this is the kind of retrograde video symbolism that inspires people to resurrect the term “street toughs” — who then paint a respectable wall mural. Of “María,” I guess.) Even in the most elaborate and sexist banda videos, singers rarely paint themselves as saviors. Whether lovers, cuckolds, protesters, or well-connected men about town, they belong to the scenes they depict. Aguilar here presents himself as savior and transformer, a transcendent figure — just as he sees himself within the regional Mexican scene? Since the song sounds pretty good, we’ll let him think that if he wants. Pick to Click! “Soy Un Desmadre” — loosely translated, “I’m Bad News, Baby” — begins as a pleasant midtempo waltz by Banda Tierra Sagrada. 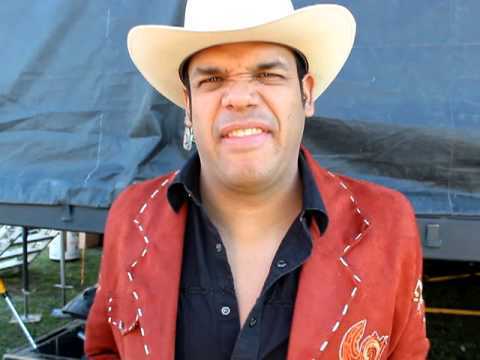 But then, in one of the most thrilling entrances since Busta Rhymes commandeered “Scenario”, someone invites guest singer Marco A. Flores to show everyone how they do it in Zacatecas. What follows is a noise both exhilarating and terrifying. 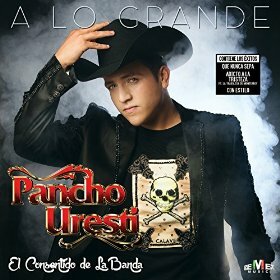 Imagine some maniacal rooster doubled over in laughter, and you may begin to understand the unique vocal timbre of Mexico’s greatest musical entertainer in 2015. 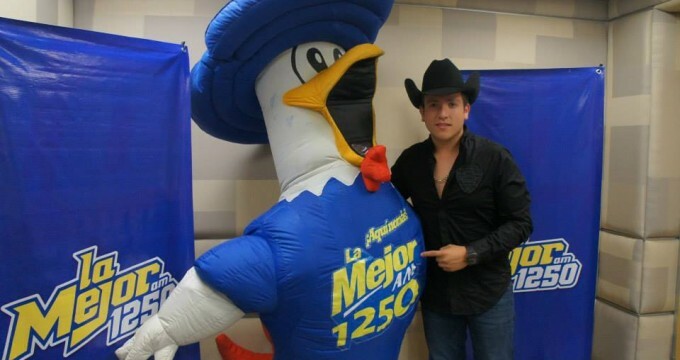 Flores sings with a gallo-rific crow unequaled in Mexican music. 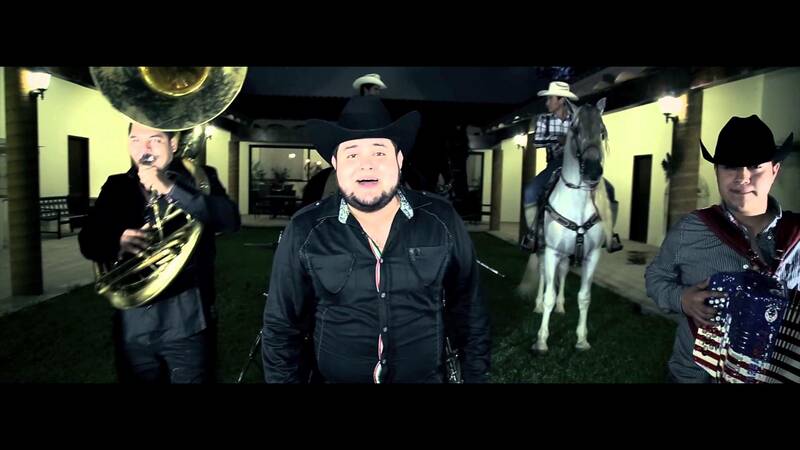 He makes his #1 Banda Jerez play faster than everyone else, because that’s how they do it in Zacatecas. They only manage one slow verse of the pretty ballad “Soy El Bueno” before kicking it up to a doubletime bounce. In his videos, Flores dances with abandon and encourages everyone in his band to do the same. (Sometimes they hide from him behind potted plants.) The album Soy El Bueno (Remex) races by so quickly, with so many fanfares and war whoops, it might initially seem bewildering. But every song sticks, a headlong rush of blaring creation, a refusal to look backwards that nevertheless demands to be heard over and over again. A radical new song recorded for an éxitos album, “Amor de la Vida Alegre” juxtaposes quick horn fills with passages of Flores crowing over just drums and tuba. His dancing remains excellent and floppy. Like the Ramones, Rae Sremmurd, or early Madonna, Flores and his Banda make termite art of the most gnawing and forward thinking sort. Read the entire list here or at PopMatters, check out a list of my other non-norteño picks on Twitter — and thanks for reading! 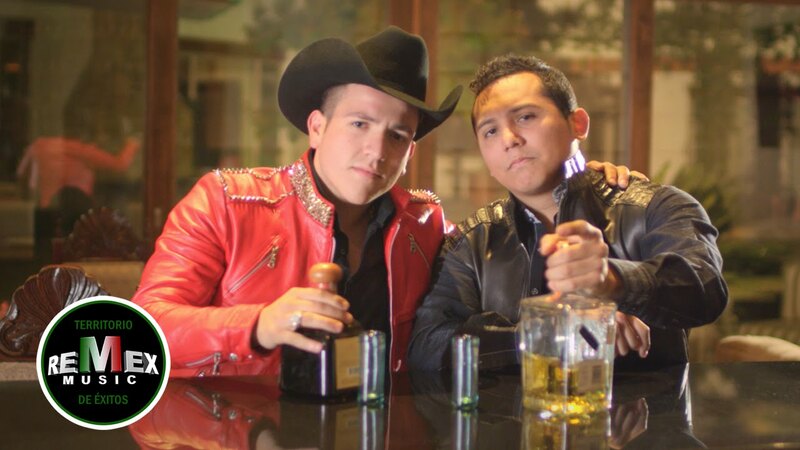 NorteñoBlog has been in the tank for Remex Records since hearing La Trakalosa’s “Mi Padrino El Diablo” on the radio. The song co-opted the Faust myth with more diabolical vigor than any of the surrounding songs could manage — any, that is, except those by other Remex bands, like Banda Tierra Sagrada and Marco Flores’s #1 Banda Jerez. Sometimes these bands falter: Tierra Sagrada’s “Soy Un Desmadre” is a great single, but most of their forgettable 2014 album was a disappointment. Overall, though, the Remex crew are a lively bunch who appear on one another’s tunes and seem perpetually on the verge of cracking up. This week on Remex, the tuba quintet Colmillo Norteño releases their 10-song A Quien Corresponda, which features their own take on “Mi Padrino El Diablo,” along with the rapid-fire circus parade (and Pick to Click) “La Plebona” and some other good or promising stuff. 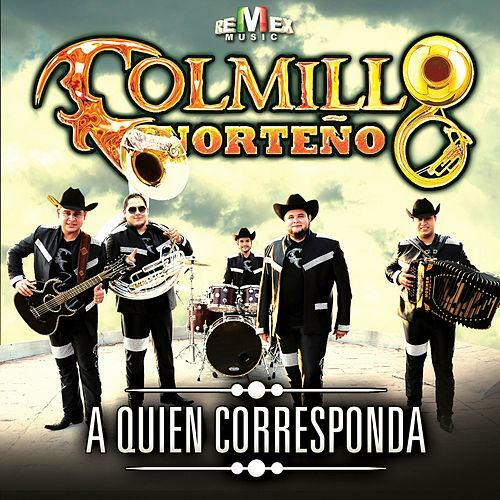 Colmillo have been around for several years, their album covers growing shinier and less rural over time, and I dig their sousaphone “O.” They also appeared on Tierra Sagrada’s smash “El Bueno y El Malo,” which at last count had garnered ONE TRILLION YOUTUBE VIEWS. Also on Remex, Trakalosa’s new single “La Revancha” may be good for practicing your cusswords, or at least your three-against-two subdivisions. Wouldn’t hurt you to click on that one, either. Another single, by the duranguense goddess Diana Reyes, is not as good. She sings her self-released banda ballad “La Mesa Puesta” well, but the song itself lies flat. 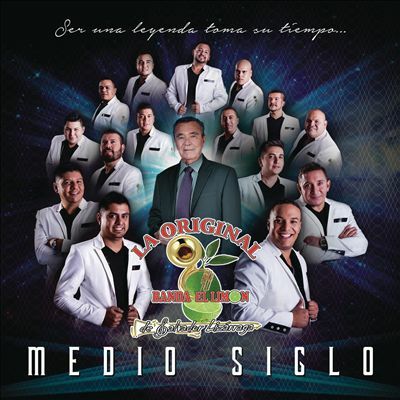 La Original Banda El Limón drops Medio Siglo (Luz/Disa), from whence comes their Mexican top 10 ballad “Mayor de Edad.” Like their clademates in Arrolladora, Original reliably churns out two or three radio hits a year, and “Mayor” has begun its slow climb to mayority in El Norte. 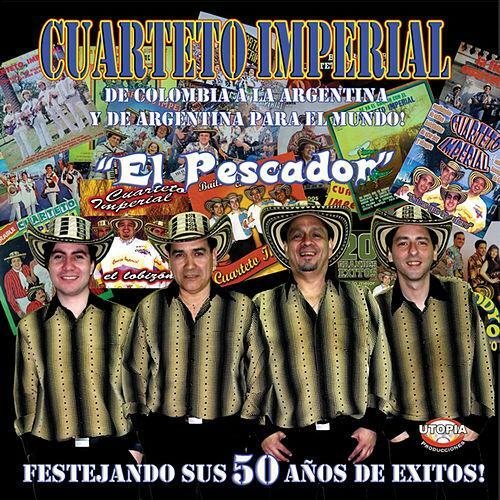 In the world of cumbia albums that may or may not be compilations, but that are definitely pro-fishing, Cuarteto Imperial celebrates El Pescador (Utopia). 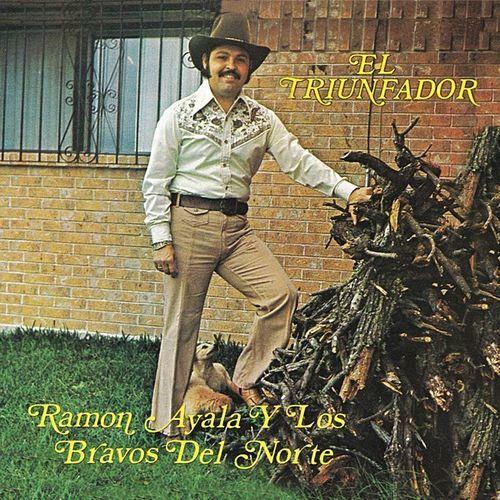 I should caution that Cuarteto Imperial is South American, not Mexican: this busy album cover boasts “De Colombia a la Argentina ye de Argentina para el mundo!” World conquest may take them a while; when I went to watch the video for “El Alegre Pescador,” it had zero views. Now it has one. This is a great injustice you should help remedy, because “Alegre” is a lot of fun, heavy on synth and piano, and not the official Click to Pick only because I can’t tell if it’s new. Cuarteto Imperial also posted the rest of this album on Youtube. Go make some fishermen happy. In October 2012, [Billboard] announced an overhaul to its R&B/Hip-Hop, Country, and Latin Songs charts, all incorporating digital sales and streaming for the first time. The modernization of these genre charts was long overdue, but Billboard threw out the baby with the bathwater. Or, you might say, drowned the baby in too much bathwater: Now, digital sales from any source, any buyer (read: pop fans) would be factored into each chart. Worse, in order to achieve sales and radio parity, Billboard also incorporated airplay across all radio formats into the genre charts; so airplay from Top 40 or adult-contemporary stations of, say, an R&B song would now count for the R&B chart, of a country song would count for the country chart, and so forth. In essence, Billboard would now use the exact same data set for these genre charts that it uses for the Hot 100, and simply trim the charts back to whatever songs the magazine determined fit that genre — each chart became a mini–Hot 100. On Latin Songs, the steady turnover of hits atop the chart slowed down instantly, as a crossover hit that paired reggaetón stars Wisin y Yandel with Chris Brown and T-Pain vaulted to No. 1 and settled in for a months-long run. I can’t explain the slow turnover among Regional Mexican Songs, though; or why the Mexican charts seem to turn over quicker. These are the top 25 Hot Latin Songs and top 20 Regional Mexican Songs, courtesy Billboard, as published Jan. 24.